Play concluded in Lasko, Slovenia, at the 2017 European Para Championships; now attention focuses on Italy, where play has commenced at the European Para Youth Games. An Opening Ceremony on Wednesday 11th October, overall proceedings conclude on Sunday 15th October; two cities at the heart of activities being Savona and Genoa. It is in Genoa where the table tennis events are focused being amongst the eight sports on the agenda; the others are athletics, boccia, seven-a-side football, goalball, judo, sailing and swimming. 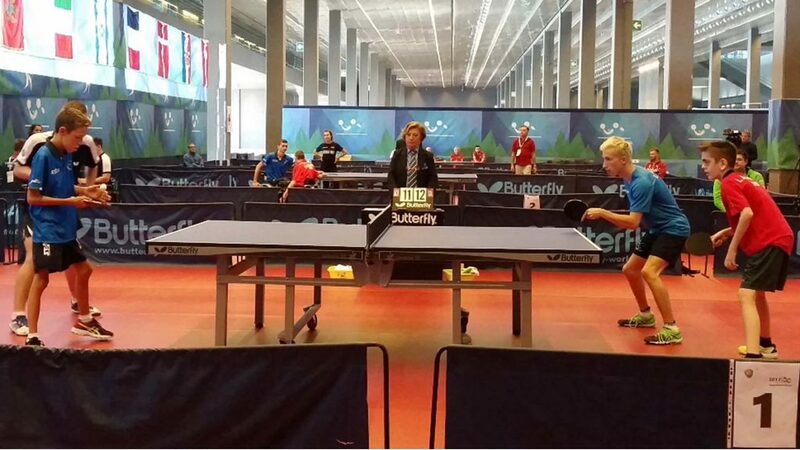 Overall some 600 athletes are competing with table tennis very much in the news; there are several notable names on duty, medallists at the recent European Para Championships. Bronze medallist in Women’s Singles Class 1-2 in Lasko, the host nation’s Giada Rossi is in action, as are Turkey’s Merve Demir, and Montenegro’s Filip Radovic. Likewise, they were bronze medallists in Lasko; Merve Demir is Women’s Singles Class 10, Filip Radovic in Men’s Singles Class 10. Furthermore, you can add one more illustrious name to the list, Tommy Urhaug who, in Class 5, won bronze at the 2017 European Para Championships but more significantly was the gold medallist at the London 2012 Paralympic Games. He is present as coach of the Norwegian team. However, in Genoa, they are all upstaged by Italy’s Matteo Parenzan. He competes in Men’s Singles Class 6-7; only 10 years of age, he is the youngest competitor in the whole Games! The Games are organised by the European Paralympic Committee in conjunction with the Italian Paralympic Committee, the local Liguria region government in addition to the cities of Genoa and the Savona. Overall, taking all disciplines into consideration, 26 countries are participating: Austria, Belgium, Bulgaria, Croatia, Czech Republic, Denmark, Estonia, Finland, France, Germany, Great Britain, Israel, Italy, Lithuania, Luxembourg, Montenegro, The Netherlands, Norway, Portugal, Romania, Serbia, Slovakia, Slovenia, Spain, Sweden and Turkey.